Competition in school is common. Teens regularly compete for grades, sports, colleges, and scholarships. Boys & Girls Clubs across the Nation offer youth the opportunity to compete in their annual Youth of the Year Program—but this “competition” is different from the type of competition most youth are used to. Youth of the Year is an opportunity, more than a competition. While only one youth can be chosen as Youth of the Year, which is the highest Club honor a Member can achieve, all candidates have much to gain, just by participating. Youth forge friendships, develop skills, encourage each other, and grow as human beings. Youth compete on the Club, Organization, State, Regional, and National levels for increasingly larger scholarship opportunities and awards from sponsors. In order to become Youth of the Year, each candidate must write three essays, perform a speech, and complete a rigorous interview process—all designed to prepare them for continuing their education and/or pursuing a career. However, the tone of the Youth of the Year Program varies from other similar competitions. Instead of solely prioritizing accomplishments or talent, youth advisors and judges are looking for how each youth articulates their challenges, growth, and the ways they want to impact their community. Youth of the Year is all about recognizing success in today’s budding leaders and inspiring those who come after to achieve their full potential. The Annual Washington Youth of the Year retreat is a collaboration among Boys & Girls Clubs of Skagit County, Boys & Girls Clubs of Benton and Franklin Counties, and Boys & Girls Clubs of Thurston County held at Lazy F Ranch in Ellensburg, WA (Jan 4-6, 2019). At the retreat, youth participated in activities preparing them to share their stories. They practiced public speaking multiple times, sharing vulnerable journeys about how the Clubs provided them with opportunities to improve their own lives. Adult advisors, staff members, and former Youth of the Year participants also interviewed candidates, challenging them to share their stories while answering common and curveball questions. During the rare periods of free time, the youth almost universally chose to work with their chosen advisors, editing their essays and implementing feedback on their speeches to better communicate their own personal story. “These youth are all incredibly dedicated,” says Nathan Allen, Director of STEM Initiatives for Boys & Girls Clubs of Skagit County, “and they are powerful advocates for the Clubs and their communities.” Many of the past state level Youth of the Year winners, including the last year’s winner Zane Castilleja, have benefitted from the annual retreat and share the sentiment that win or lose, sharing your story is beautiful and important. “My favorite thing about the retreat was meeting so many people and learning about their stories,” said Zoie S., the Youth of the Year candidate from the Mount Vernon Club. Paula B., a former Skagit County Youth of the Year and 2019 candidate from the Sedro-Woolley Club, echoed Zoie’s sentiment and added, “I like seeing how people grow year over year. Goodness knows that I’ve grown since the first time I did this.” Both Zoie and Paula intend on pursuing college and achieving advanced degrees in psychology and law, respectively. They entered the Youth of the Year competition to help them grow and will passionately deliver their speeches to hundreds of people at Skagit County’s Youth of the Year Dinner along with other candidates from Skagit County’s Clubs. “All of our stories are so different,” says Kyla W., candidate for Anacortes Boys & Girls Club, “we all deserve to win.” This is the spirit of Youth of the Year participation, and it echoes what Club membership means to youth. If you would like to attend Skagit County’s Youth of the Year Dinner and support local youth, please contact Ian Faley at (360) 202-9021 or register online at www.skagitclubs.org. Full names upon request. 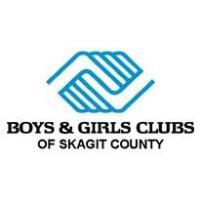 For safety reasons, Boys & Girls Clubs of Skagit County prefers that last names of minor Club members are withheld from publication if possible.